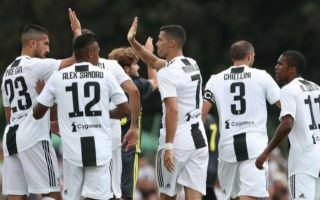 Hooray for club football being back, with Serie A fans sure to be keen to get hold of a Juventus vs SPAL live stream for this afternoon’s kick-off. Cristiano Ronaldo and co. will be back in action in Turin at 5pm today, hoping to continue their dominant start to the Italian league season. Despite the recent blow of a surprise home defeat to Manchester United in the Champions League, Juve look unbeatable domestically right now. Massimiliano Allegri’s side are six points clear at the top and yet to lose a game this season, winning eleven and drawing one of their twelve matches played in Serie A so far. That seems unlikely to change as Juve take on SPAL, who have just one win in their last five games and who sit 15th in the table. Allegri’s side are also boosted by Ronaldo recovering from his slow start to show some explosive recent form, with seven goals and four assists in his last ten games in all competitions. Don’t miss the action – sign up to Eleven Sports to get your fill of Serie A and other major European leagues this season.